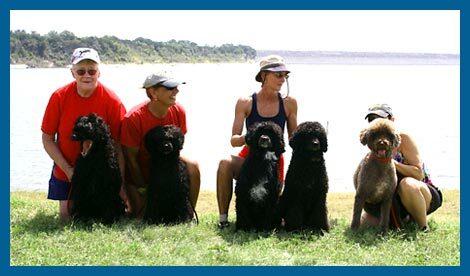 In 1988 the Lone Star Portuguese Water Dog Club was born from a small group in the Houston area. I was one of the four founding members. Many years later the small club is still active giving water trials and I have served the club in numerous capacities as board member trial chair and mentor to new members. In addition to PWD activities we are members of a local obedience club. We have served as officers, training director and instructors for member and public classes. 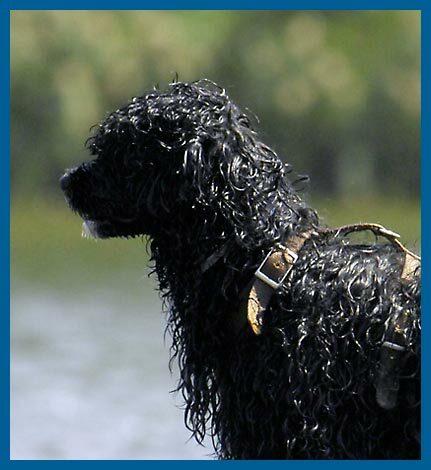 Our Portuguese Water Dogs compete in breed, obedience, agility, water work, tracking and flyball. PWDs we’ve bred have also been used in Search and Rescue and therapy dog work. At Mariner Kennel we strive to preserve the “look” and “ function” of the breed in accordance with the AKC standard by selective breeding. Dam and stud are chosen on the basis of pedigree, health clearances, temperament, soundness, working ability and adherence to the AKC standard. All puppies are raised at home and are socialized. Because of our commitment to the pwd breed standards, Cindy McCullough and the Mariner Kennel have been designated Breeder of Merit by the AKC.